Ravens has been reinvented for the 21st century and Liberty Hygiene are delighted to be part of that. Ravens of Clifftown Road, a much loved and favoured department store in Southend for over 120 years closed its doors in October 2017. It was another indicator of the changing face of the British High Street. As online consumer habits rise, high streets are becoming destinations for leisure activities. A massive makeover has turned the 4 floor building into a luxury multi-level bar and restaurant venue. 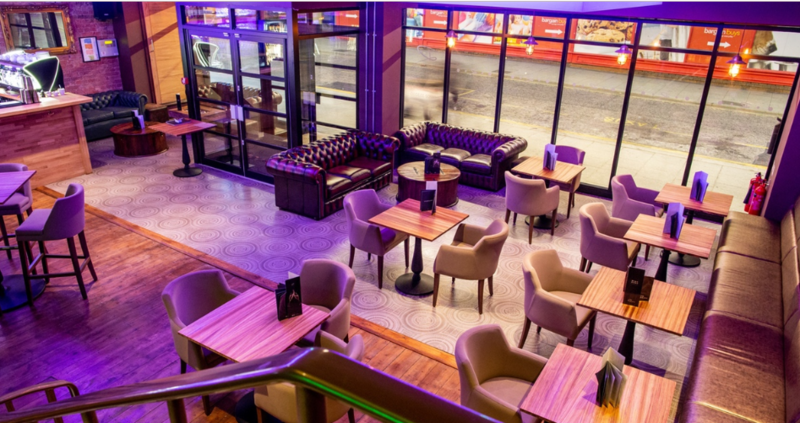 The venue which as retained the name of Ravens, offers a choice of a basement bar, a ground floor bar with seating for lunches, a first floor high end restaurant with bar and a 4th floor roof terrace. The whole business is built on delivery of a high quality experience for all patrons with fantastic food and a stunning array of drinks, beers, cocktails and wines available. When planning the new interiors, attention to every facet of the refurbishment was essential and that’s why Ravens were more than happy to sign up with Liberty Hygiene as their appointed washroom services provider. Discreet, timely service to suit Ravens Bar & Grill and flexibility over additional services are key to ensuring our ongoing supply. Our Account Manager visits regularly and anything that Ravens needs for the washrooms is only 1 phone call away.